I used to believe that living mindfully meant, “Oh, great, no pain can touch me.” I imagined that mindfulness practices would somehow construct a little bubble of safety around me, protecting me from the bumps of life. Okay, maybe I didn’t think this consciously. But under the surface of the moment, beneath my breath, there lurked, there always lurks a low-grade (formerly high-grade) terror of life, in its full-blown messy life-ness. 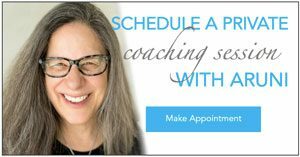 When I got sober, oh, a thousand years ago and yesterday—both seem true and possible—I heard this ridiculously simple/profound saying, “Pain is mandatory—suffering is optional.” This maxim annoyed me, baffled me and eluded me. And here I lay, awakening into another blessed dawn, facing this paradox of possibility, this always-unfolding choice, how do I choose to live within this moment? I now know that living mindfully means allowing myself to be touched by life. Perhaps life’s job is, in fact, to touch us, to wake us up, to offer us exactly the people-places-and-things that bump into the non-integrated feelings in our bodies. The issues do biochemically live in the tissues. Those feelings which we have not felt or released—those energetic currents of life—become embodied. Candice Pert, the brilliant molecular biologist, in her groundbreaking book, The Molecules of Emotion, describes the body as the unconscious mind. To deny feelings is to reject our own bodies. I know the way out is surely the way through; the feelings are the portal to integration, and, as I even imperfectly practice feeling what is, I receive more energy and grace. Okay, so I get it, pain is mandatory. But what about suffering? I believe suffering occurs when I fight reality. Suffering emerges from my attachment to what I think I want. It is my commitment to the oppression of my own great drama, the narrative that I bring to each specific life event. It is the smokescreen, the hedge that I create to spare myself the walking through the feelings. Unfortunately, it is an ineffective system. It creates physiological dis-ease, emotional pain, and spiritual alienation. It keeps me stuck. Pain may emerge as the by-product of my commitment to what is. Suffering is my commitment to what is not. Several decades ago, in the days of the Kripalu ashram, I remember one wholly wacky and wild three-day staff retreat. 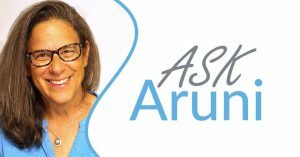 We had invited the Forum, now called Landmark, a worldwide personal development system, into the Main Hall, where the entire ashram community, about 350 of us, sat with our guru, Amrit Desai, to be trained in the Forum’s very mind-centered process. 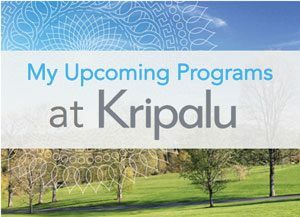 Kripalu was (hopefully always will be) such a heart-centered path. The rigor of the process of the Forum shook me awake just a tad from the la-la-land of my premature transcendence. One teaching I remember so strongly from that retreat continues to serve me: what is happening vs. what am I making it mean? When I can consider, with discernment, with mindful consideration, the distinction between the reality of the situation and the historical narrative I’m making up about it, I am moving away from suffering. Choosing feelings closes the door on struggling and opens the door to grace and integration. The sky lightens; the birds, trusting the light so fully, awaken with gleeful song. I, too, stir and stretch and awaken with just a little less trust than my avian neighbors. Into this softening blue sky, into this new day, may we lean toward life in all its messiness, with all its feelings. Into this—yet another—miraculous daily release from darkness, may we relax into the gift of light. May we give ourselves full permission to practice living as divine beings learning how to be human, wrapped in a body. Dear Reader-Friends, how do you experience pain? Can you discern the difference between that and suffering? What strategies do you use to stay present? Please send on your ideas!